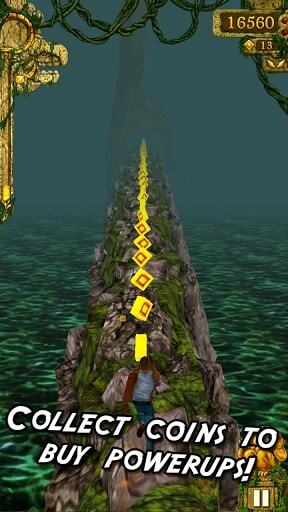 Now-a-days, Games like Temple Run are Most Popular and Hitting Million Of Downloads. 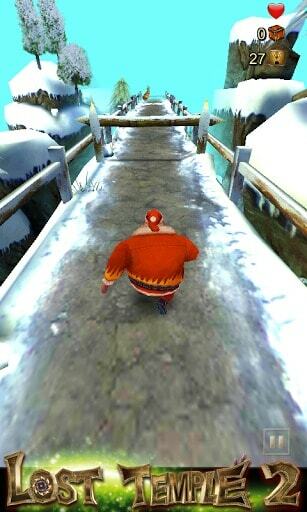 Imangi Studios Released First Version of Temple Run and Now We have many Similar Apps To it. The Temple Run Series is Addictive Game Series. 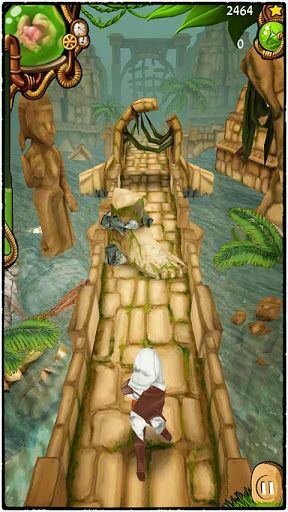 >>This is Imangi Studios First Version of Temple Run which got Most Rating and Popularity in Mobile Gaming World. The Story is You”ve stolen cursed Idol from temple and You run for your life to escape from The Evil Demon Monkeys. This Version Of App is FREE. 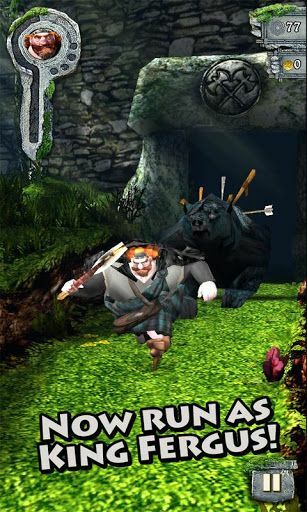 >>This New Version is Advancement to Previous Version as New Forests, Navigate Perilous Cliffs and Graphics Improvement. The Story is Same Just One Big Monkey Included in This New Version. This New Version Of App is Too FREE in Play Store. >>Previous Versions Of Temple Run Got Million Downloads and Popularity. 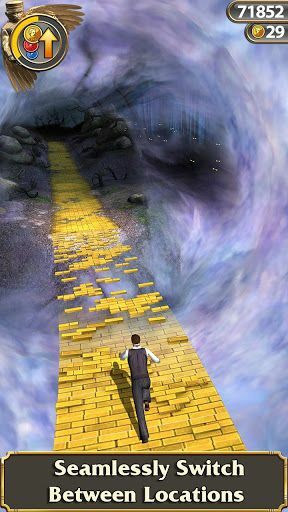 This New OZ Version introduced by Disney Featuring Yellow Brick Graphics which is a brand-new endless runner inspired by Temple Run 2 and the film Oz the Great and Powerful. if we talk about Features, In this OZ version User Run as China Girl and see Oz in Different Costumes, You may fly in Hot Air Balloon. As This app is not Free but Not Cost too much of Price: Rs.53.18 in INR and You will get 1500 Coins Free with this Package. 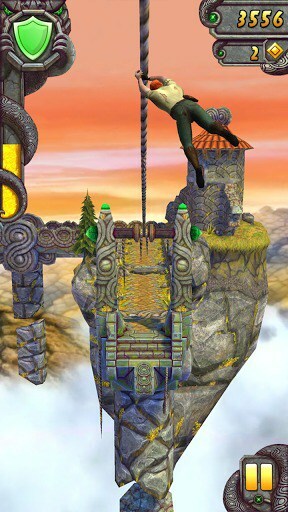 >> Disney”s New Temple Run Version named as “Bravo” which includes All New Graphics Again and Archery Features. All new environments inspired by Disney/Pixar Brave and the wilds of Scotland. Play as Merida from Disney/Pixar Brave. This Game is also PAID one which costs about Rs.53.96/- INR and You will get 2500 Coins free after you purchase. 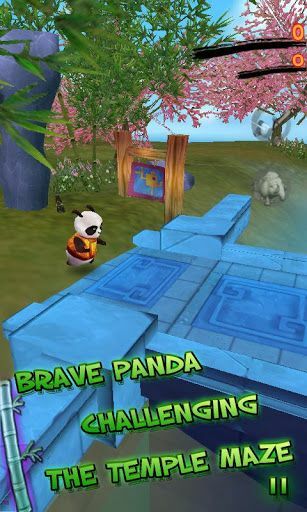 >>After Playing Imangi and Disney Temple Run varients, You Should Give a try on Other Games too like SailFish Games Introduced Panda Run whose Story is About Brave Panda Running in order to get the legendary soul stone. In This New Version,you will see New Graphics and Simple variety of Different Stages of Gaming. This Panda Run app is Available as Free in Play Store. >> RetroStyle Games Powered Zombie Run is again Similar to Temple run but with New Things introduced such as New Graphics | New way of Control and 14 Unique Characters. The Story is to Help awaken Zombies to escape from The Rusty Mug, a bar accidentally built atop an old cemetery and hence you Run through nasty swamp, old village, cursed hills and fallen temple locations. This Version of Game is Available FREE in Play Store. >> The Previos version of Lost Temple was not much Popular because od some Problems in Graphics and Force Closeness of Game but in this new Application,New 3D game Effect with Super Smooth Operational Graphics and Different Playable Characters. This version of App is Free available in Play Store. There are also Similar games named as: Stickman Run | Piggy Run and Many others but They are not good as Above Mentioned Apps because some problems like Force close apps and Other Problems Occured in them. Hope You Enjoy the Topic and Now you may Try Different Temple Run Like Apps on your Smartphone now! Which Version of Temple Run Do You like the most ?